Successfully Added 7 Inch Touchscreen LCD with VGA (In-car Entertainment, PC, POS) to your Shopping Cart. This sturdily-built 7 Inch Touchscreen LCD is both perfect for your in-car entertainment and as an affordable Point of Sale business solution to help boost productivity of your place of business. 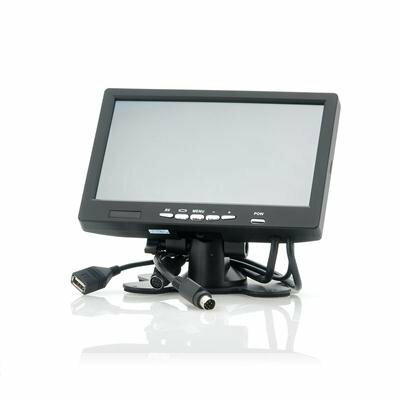 Featuring both VGA and RCA input connections, this 7 inch LCD monitor shows everything from your DVD player, GPS navigator, digital TV receiver, rearview parking camera, and any other video sources directly on its large and clear screen. 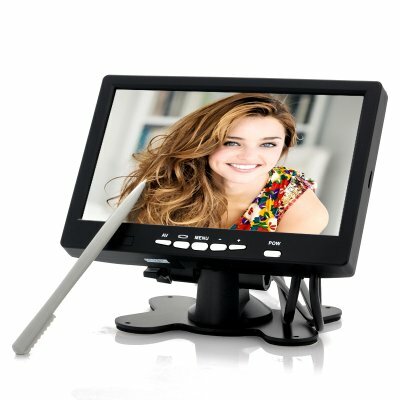 Displaying vibrant images at 800 x 600 resolution, this touchscreen monitor really brings your movies to life. It also comes with a fully adjustable mounting bracket that can be placed on your dash board, allowing you to enjoy movies comfortably. This touchscreen monitor can be easily connected to your PC and be transformed into a POS device instantly at your restaurant or retail store. Touchscreen monitors are easier to use then keyboards, thus helping you eliminate human errors such as lost orders, math errors or other costly delays. You can also use a few of these in your retail store and your customers will have an interactive display to access your product information. Offered now at an unbeatable wholesale price, this product is now available in stock for immediate shipment. Add it to cart now and it gets delivered to you within a week, wherever you are. Brought to you by the leader in wholesale electronics, Chinavasion.